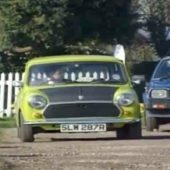 Bean never appeared in his mini car in The Return of Mr Bean. 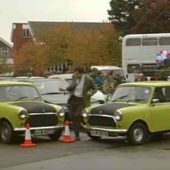 This is one of two episodes in which his car failed to make an appearance. 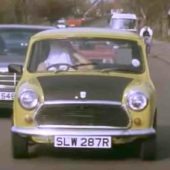 In The Curse of Mr Bean, in a new mini ( registration number SLW 287R ), our hapless fool escapes without paying from a car park and tangles with his old foe in the three-wheeler in the process. 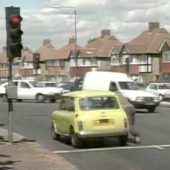 Later, he pushes his car around a corner at a red light, mimicking a cyclist. 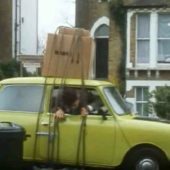 In Mr Bean Goes to Town, Bean uses his car to transport his new television by tying it to the roof. 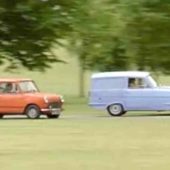 Apparently, the back seat was out-of-order. 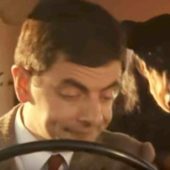 In The Trouble with Mr Bean, Bean gets up late and has to dress inside his car on the way to his dental appointment. 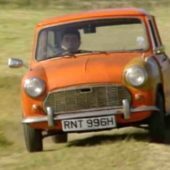 Later, he visits a park and his car has an encounter with a thief who is foiled because Bean always removes the steering wheel as a precaution. 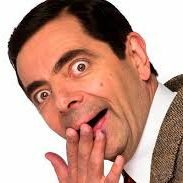 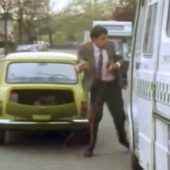 In Mr Bean Rides Again, Bean uses an ambulance to jump-start his car, leaving it immobile and with a dead battery. 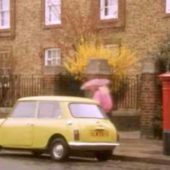 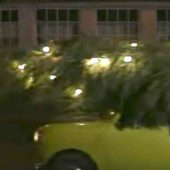 In Merry Christmas, Mr Bean, Bean uses his car to transport the city’s Christmas tree to his home. 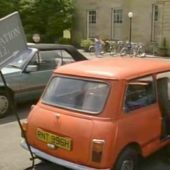 In Mr Bean in Room 426, Bean arrives at the hotel in his trusty mini. 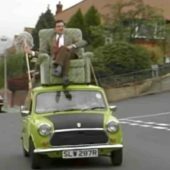 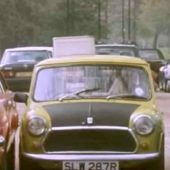 In Do-It-Yourself, Mr Bean, Bean finds that he has no room in the car for his new armchair and all the other things he has bought, so he improvises a highly dangerous system for driving home by placing the armchair on the roof of his car and sitting in it, manipulating the accelerator and brake by a pulley. 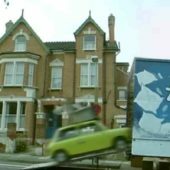 His journey home comes to an end inside a bed van. 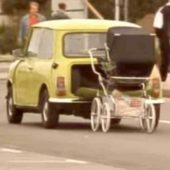 In Mind the Baby, Mr Bean, Bean’s car inadvertently drags a pram on an unscheduled journey. 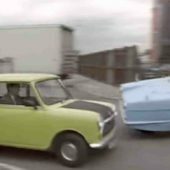 Later, a Rottweiler makes a visit, sitting on his back seat. 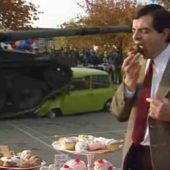 In Back to School, Mr Bean, Bean parks his car in a space meant for a display car. 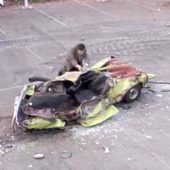 His car is crushed later by a tank in a military demonstration. 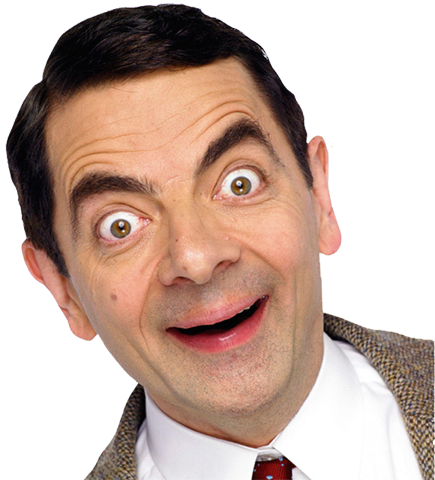 Bean never appeared in his mini car in Tee Off Mr Bean. 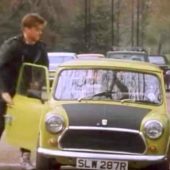 This is the second episode in which his car failed to make an appearance. 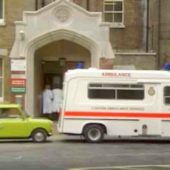 In Goodnight Mr Bean, Bean arrives at the hospital, parking his mini behind an ambulance. 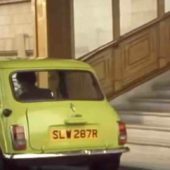 Presumably, this is a new car as his last was crushed in Back to School, Mr Bean although it still bears the same number plate. 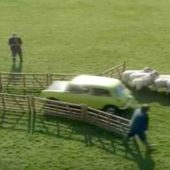 In Hair by Mr Bean of London, Bean arrives at a fete and immediately causes mayhem by parking his car in a pen intended for sheep.